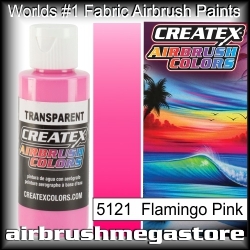 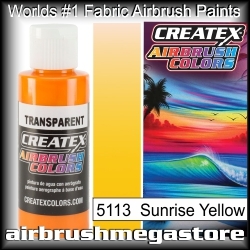 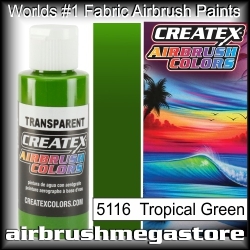 Createx Airbrush Colours are the number one, most widely used and trusted professional airbrush paint in the world best used on fabrics. 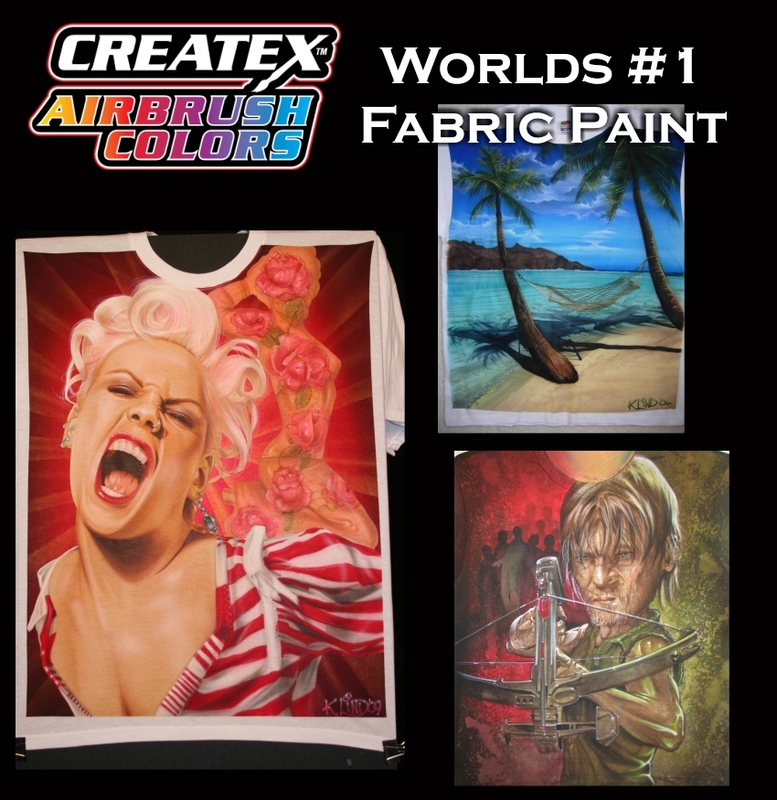 Made with light-fast pigments, durable resins and quality ingredients, Createx works on fabric, wood, leather, canvas, ceramic, clay, poster board, brick, plaster, latex, glass and more. Colours are water-based, non-toxic and meet ASTM D-4236 standards. 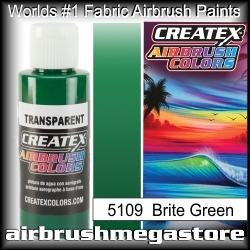 Colours include Opaque, Transparent, Fluorescent, Pearlized and Iridescent Colours. Createx Airbrush Colours are designed for permanent results with a soft-hand feel on fabrics. Colours cure with the assistance of heat after drying. The use of heat to cure colours is one of the main differences between Createx Airbrush Colours and Wicked & Auto Air Colors which cure to a much stronger film with air drying alone (referred to as self-cross linking). 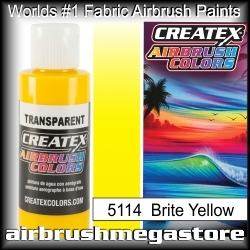 Createx are made with exterior-grade (automotive) pigments allowing them to withstand prolonged exposure to direct, outdoor light without fading. For maximum permanence, a top-coat should be applied over the paint after curing. 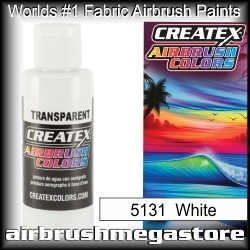 Createx Airbrush Colours work best out of the bottle with a 0.5mm tip-sized airbrush operated @ 40 – 50 PSI. For smaller tip-sizes, lower PSI settings and fine-line detailed artwork. May reduce with a bit of water or 4012 High Performance Reducer ( note a pot life is created when using 4012 of approx 48hrs or lower. Best to mix only enough for your intended use and do not discard back into the unmixed colour, all airbrush paints available at Airbrush Megastore your local retailer.